Canadian international commissaire Kevin MacCuish has launched his company to assist race organizers and national federations run better events. 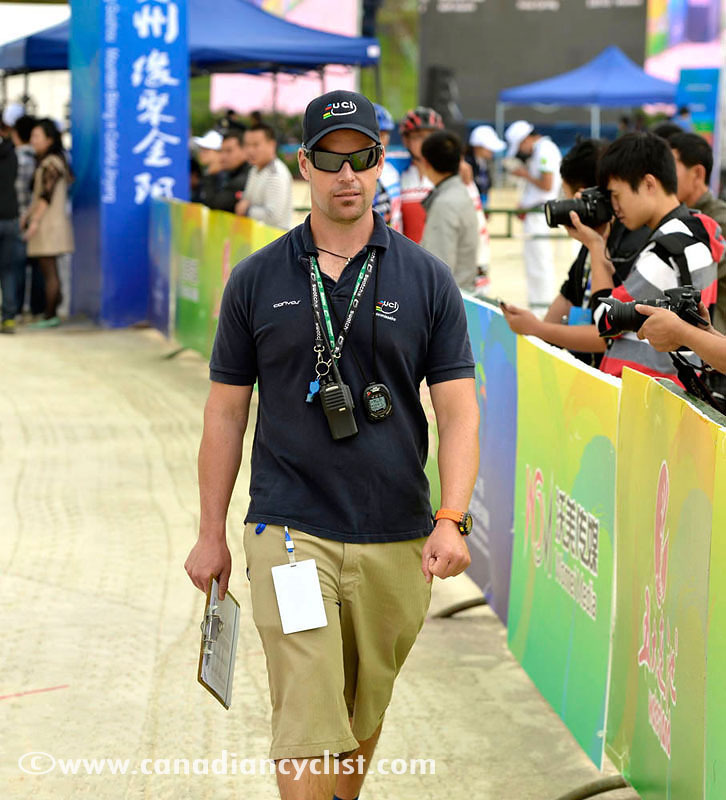 MacCuish is a UCI Commissaire and event organizer who has worked at the highest levels of the sport, including multiple world championships and the 2012 Olympic Games. He will also be the chief commissaire for the 2013 Mountain Bike World Championships in Pietermaritzburg, South Africa. The main focus of MacCuish Race Services is to help Cycling Federations and Race Organizers to hold better events. For federations, this is done by helping them to manage their volunteer training and evaluation programs; much of the day-to-day work of federations is involved with recruiting, training and evaluating such volunteers as Commissaires, Race Organizers, Team Managers and Race Timing Technicians. As these are the people who are "making the sport happen" on a day-to-day basis, improving the ability of these volunteers to do their jobs well has a big impact on the quality of races. Also, well trained volunteers are usually happier volunteers, meaning that they are willing to continue serving the sport longer. For Event Organizers, especially those holding large participation or UCI events for the first time, I offer a complete review of all event plans from the point of view of two classes of participants: the riders, and also the technical staff (federation staff, Commissaires, timers, etc); a successful event has to satisfy the expectations of both of these groups ... there is much more to a good event than just a good race course. Part of this includes being available to the organizing committee both before and after the race, as well as being there as an adviser or event manager during the event.